July is the month of pre-loved, reused and up-cycled fashion at Rozelle Collectors Market. 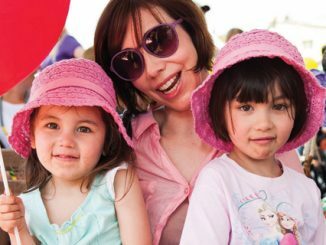 Vintage Month at Rozelle Collectors Markets is promising veritable bucket loads of nostalgia, funk and fun every weekend throughout July. Apart from the opportunity to nab some groovy retro pieces and cute homemade fashions, Rozelle Collectors Markets is hosting a series of vintage themed events on the weekends throughout July, including a Vintage Fashion Parade on Saturday July 23rd, 11am. Our cover girl for this edition, Annika Victoria, is just one of the vibrant personalities that will be out and about during the markets’ Vintage Month. Through her growing social media presence Annika advocates for the ethical consumption of fashion and body positivity, while teaching other fashionistas how to make their own clothes. Annika Victoria has over 400,000 subscribers on Youtube and 27,000 followers on Instagram. As a science student living with a chronic illness, Annika Victoria (aka @littlepineneedle) is not your regular social media mogul. Inner West blogger turned YouTuber, Annika Victoria has gained a significant online following sharing DIY sewing projects with her fans. Shortly after Annika began her journey as a blogger she was diagnosed with a rare chronic vasculitis disease called Takayasu’s Arteritis. “At that point, the online world became my place of escape from the horrible physical symptoms, constant specialists appointments and scariness of receiving a life-changing diagnosis,” Annika says. Annika’s social media outlets served not only to find peace within herself but also benefit others. “Even though I simply run a Youtube channel that teaches people to sew their own clothes I also aim to teach people that their size or body shape shouldn’t matter, anyone should be able to wear whatever they want! I also want to raise awareness of people living with disabilities and invisible illnesses. We are normal people who are still able to live full and interesting lives,” Annika explains. Following the 2013 Bangladesh sweatshop tragedy, Annika made the pledge to shop responsibly. “It made me realise just how many people in the world work in poor conditions, for minimal pay, in order to make cheap clothing available to countries like Australia. I also realised that I was part of the problem, because I was promoting “fast fashion” on my fashion blog. “I have committed to buying mostly second-hand and vintage items, or making things myself and I now only ever promote small handmade designers and ethical, sustainable fashion stores,” says Annika. Annika enjoys the thrill of thrift shopping at Rozelle Collectors Markets, “you never know what you’re going to find and it’s exciting! I love that the pieces I buy have a history to them. I dress to stand out, if you wear vintage you are less likely to come across somebody wearing the same thing,” says Annika. Annika searched through the Rozelle Collectors Markets to find these vibrant treasures; the perfect feature pieces to liven up your winter wardrobe. Check out these stalls for some other great finds. They update their offerings each week, so there’ll always be something new to catch your eye! 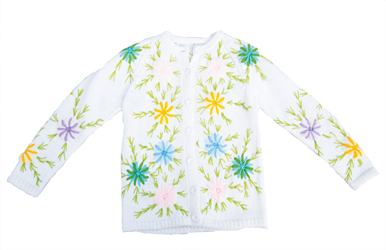 Embroidered white Cardigan – $20. Found at stall: Mint Condition. 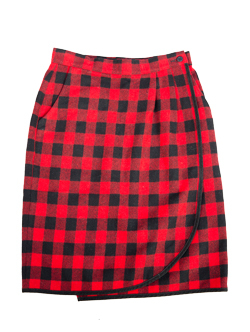 Red Tartan skirt – $15. Found at stall: Mint Condition. Gold sequined shorts and jacket – $35. Found at stall: Voula. 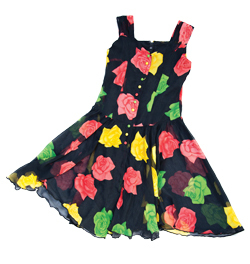 Black Floral Dress – $15. Found at stall: Voula. 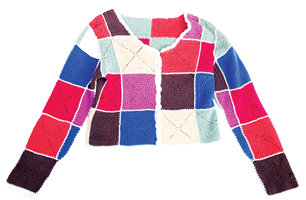 Patchwork Jumper – $15. Found at stall: Mint Condition. Caryle’s stall is an eclectic mixture of unique vintage collectibles including jewellery, handbags, silverware and decorative house trimmings. Her stock is sourced from the USA, Europe and Australia and prices start at $10. At Kim’s stall you will find incredible hand-made vintage hats, fascinators, leather belts, cuffs and flowers, using recycled materials. Kim also makes beautiful and delicate sterling silver jewellery. Wun sells a collection of second-hand and new clothing, handbags and jewellery and has items for women and men. Stocking high street brands such as Witchery, Kookai, Saba and Esprit, items range from $5-20 in price. There are many bargains to be found! Kerry James has worked in fashion for over 20 years. 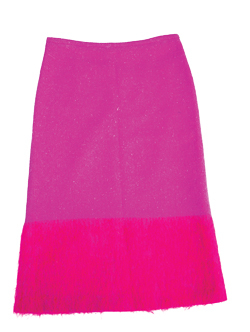 Her eye for bespoke detail and superior cut was refined by her time at Charlie Brown. Kerry loves all things fashion and her stall has a great range of collectibles, vintage and one off pieces.